Ever since I was 4 years old I wanted to be a “race car driver.” As I grew up, my passion for cars grew deeper and deeper. I spent years learning and reading about cars and vehicles that were set up strictly for racing and I started to really understand what it took to have a great performing car. I then set out to find a vehicle that fell into that criteria. Now, this isn’t going to be a full-blown race car, mainly a weekend racer although it could turn into something more, for now though, the car will be kept road-legal so it can be enjoyed while it’s not tearing up the track. When I first started looking for a sports car it really was up in the air of what car I was going to get. There are so many variables to consider and I wanted to make sure I didn’t regret my decision afterwards, you know that thing called buyers remorse, ain’t no one got time for that. I then realized I needed a way to easily compare the vehicles. The power to weight ratio is a good starting point but it is severely lacking in any final decision making value as it lacks an important key factor, dollar value. Basically, I was just looking for a great deal on any one of the cars on the list even if the car required a bit of work to get a better deal. Who doesn’t love a good deal? I set out to come up with a good equation that would help determine the best bang for buck, comparing horsepower to weight, and factoring in the average dollar value in USD currency of the last 10 sold vehicles in eBay auctions. I chose eBay for this information as it was the only place I knew of that had easily accessible information on the final price of sold vehicles. I created the below comparison chart of the top 10 (which ended up being 14) sports cars to easily compare the specs, power to weight ratio, and best bang for buck sports cars on my list. I used a formula to get the best bang for buck value between all of the vehicles. The final number achieved for each car seemed pretty accurate based on the cost of the vehicle compared to the power to weight ratio. 1. First, we need to determine the power to weight ratio (ptw). This is done by taking the horsepower and dividing that number by the weight in pounds. Example: The 2006 BMW M3 E46 has 333 horsepower and has a curb weight of 3472lbs. *Tip (not shown above): A good power to weight ratio to look out for is anything above 1hp to 10lbs or at least close to. We take the result of 0.096 above and multiply that by 10 so we end up with .96, which is .96hp per 10lbs. So close to 1hp per 10lbs for the E46 M3. 2. Second, we take the power to weight ratio result from step 1 and multiply that by 100,000 (make sure to hit the equal button at this point if using a calculator) then divide that number by the dollar value of the car. Example: The 2006 BMW M3 E46 has a power to weight ratio of 0.096 and dollar value of $7764.70. The reason we multiply the power to weight by 100,000 first is to just make the number look nicer, otherwise, the number would be off by 5 decimal places and look like .00001236. The larger the number the better bang for your buck. As I’m sure you’ve noticed, the muscle cars had the top 3 spots, that is mainly due to their low cost and high power output. Things like handling, braking, comfort, fuel mileage among other factors are not taken into consideration with this formula. So this formula isn’t what we will be basing our final decision on, it will however give us a pretty good base to start with to compare with other vehicles. Since I had now created an in-depth comparison sheet, I decided to do some more research on the pros and cons of these cars, things to look out for plus a bit of history on each one and create a Best Used Sports Cars list. 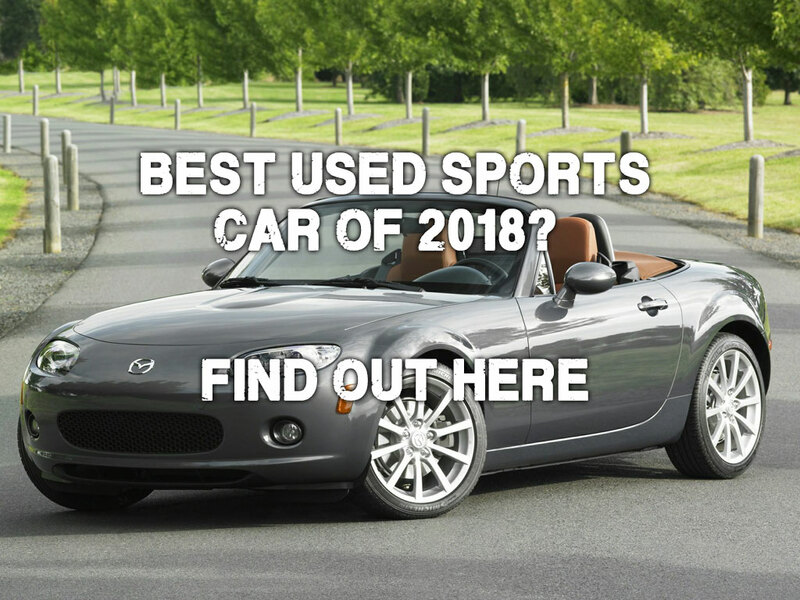 I felt this could help anyone that was looking to buy a used sports car for under $10,000 and help them make an informed decision. During the period of time, I was scouring the classifieds, forums, and eBay for one of the top 10 cars on my list I came across an interesting video on YouTube. The video I saw was on the Jr Garage channel, you can check out their channel here. They were driving and explaining the history of their car named Ellis; the nickname for Ellis came from the fact they had an LS engine swap in their car. The car that has an LS Engine swap is a 1988 Porsche 944 turbo. The car not only sounded amazing, thank you “merica” for all you do, but the car also looked great, thank you Deutschland. They talked about how they bought the car with a mostly complete LS swap, why the Porsche 944 Turbo is a great first car (it might not be all that great for you depending on the particular one you find, your mechanical ability, and budget). They talk about how fast and fun the car is and what factory upgraded parts you will find on the turbo model, particularly the 88+ model years (there’s a lot of upgraded parts) which is the part that really sparked my interest. After watching that video I started doing some research and found out that Porsche upgraded dozens of parts over the NA 944 (illustrated below) to make the 944 turbo a true Porsche. Needless to say to I started to really focus my attention on finding a Porsche 944, specifically a 1988 or 1989 Porsche 944 Turbo, factory code named 951 to not confuse the naturally aspirated 944 with the Turbocharged 944. Great post, this really helps clear up my decision on what car I’m buying next.